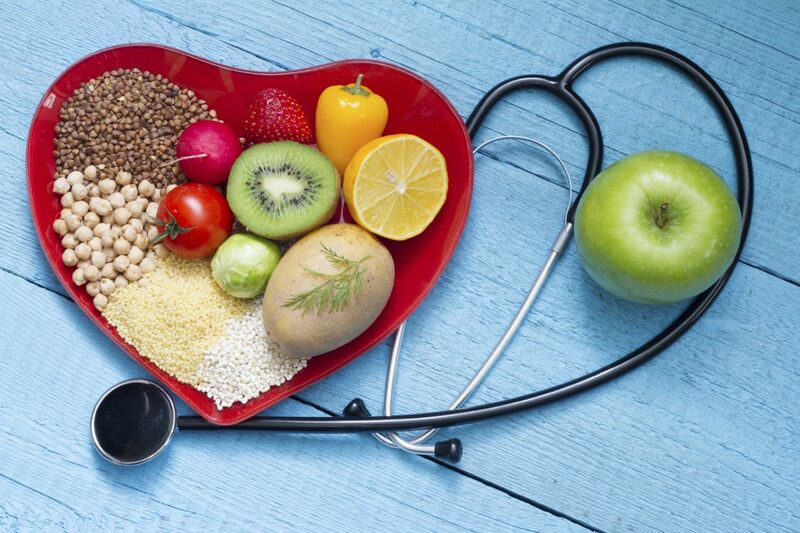 Many people can lower cholesterol levels simply by changing what they eat. For example, if you are a fan of cheeseburgers, eating less meat (and leaner cuts) and more vegetables, fruits, and whole grains can lower your total cholesterol by 25% or more. Cutting back on saturated fat (found in meat and dairy products) and trans fat (partially hydrogenated oils) can reduce cholesterol by 5% to 10%. Here are four steps for using your diet to lower cholesterol. Stick with unsaturated fats and avoid saturated and trans fats. Most vegetable fats (oils) are made up of unsaturated fats that are healthy for your heart. Foods that contain healthy fats include oily fish, nuts, seeds, and some vegetables. At the same time, limit your intake of foods high in saturated fat, which is found in many meat and dairy products, and stay away from trans fats. These include any foods made with "partially hydrogenated vegetable oils. Find a diet that works for you. When a friend or relative tells you how much his or her cholesterol level dropped after trying a particular diet, you may be tempted to try it yourself. If you do, and after a few months you discover that you're not getting the same benefits, you may need to chalk it up to genetic and physiological differences. There is no one-size-fits-all diet for cholesterol control. You may need to try several approaches to find one that works for you. Although diet can be a simple and powerful way to improve cholesterol levels, it plays a bigger role for some people than for others. Don't be discouraged if you have followed a diet but not reached your goal blood level. Keep it up. Even if you do end up needing medication to keep your cholesterol in check, you likely will need less than if you didn't make any dietary changes. For more on lowering cholesterol, read Managing Your Cholesterol, a Special Health Report from Harvard Medical School.